Brian Wigdahl, Ph.D., is professor and chair of Microbiology and Immunology, director of the Institute for Molecular Medicine and Infectious Disease, and director of the institute’s Center for Molecular Virology and Translational Neuroscience at the Drexel University College of Medicine. An internationally recognized molecular virologist. Dr. Wigdahl focuses his immediate research on the molecular mechanisms, treatment, and prevention of immunologic abnormalities, cancer, and progressive neurologic disorders caused by members of the retrovirus and herpesvirus families. 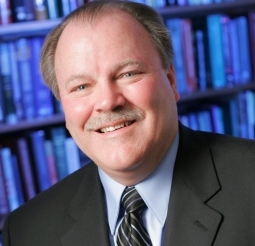 He has a total of more than 180 published or in press peer-reviewed publications.. Dr. Wigdahl is the 2013 recipient of the International Society for NeuroVirology Pioneer in Neurovirology Award presented in recognition of outstanding individual achievement in the field of neurovirology.